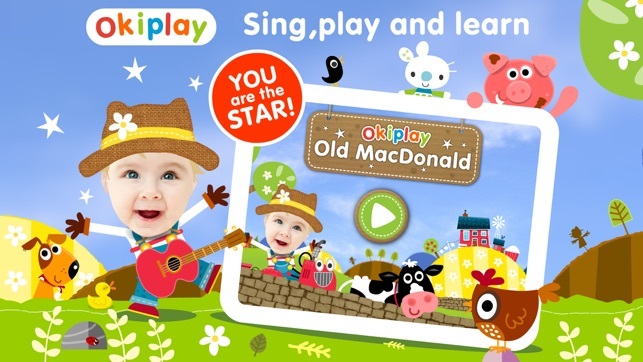 Play with cute farm animals, sing along to Old MacDonald and develop preschool literacy skills. 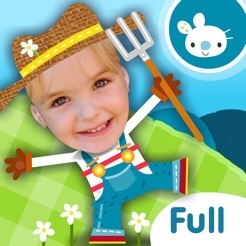 Kids love being the farmer & role-playing in this classic nursery rhyme. Bounce in the squelchy mud with the pigs, count the hen’s eggs, collect the apples, drink milkshakes, play Peekaboo in the stables with the horse, feed the ducks and drive the farm truck. Phew. Now it's bedtime for the animals, but wait... is that the cow jumping over the moon?! Singing, memorizing rhymes and imaginative role-play are all early learning milestones, so your toddler develops Preschool skills as they play. Research shows that a familiarity with rhymes helps children progress with reading. 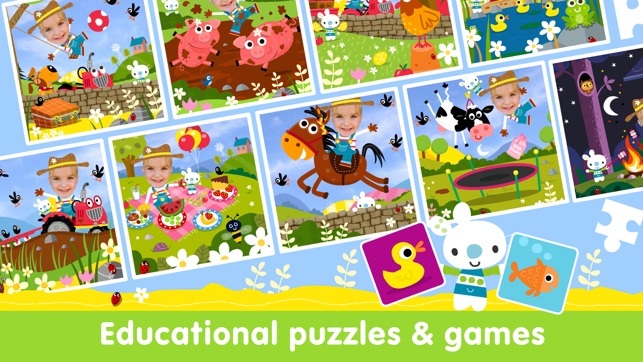 Extra educational games include jigsaw puzzles and memory games. 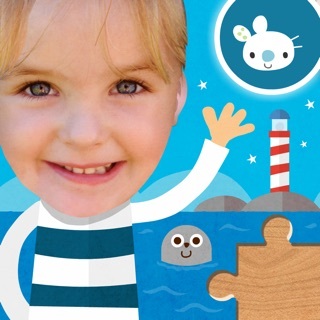 These puzzle games are especially designed for preschoolers and have 3 levels to progress through. 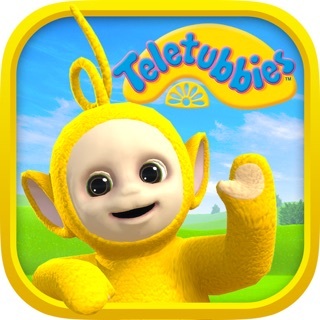 Enjoy endless surprises and giggles - just choose new photos for every game. Children love to see themselves (or Daddy, Grandma, even your family pet!) as the star of the games. 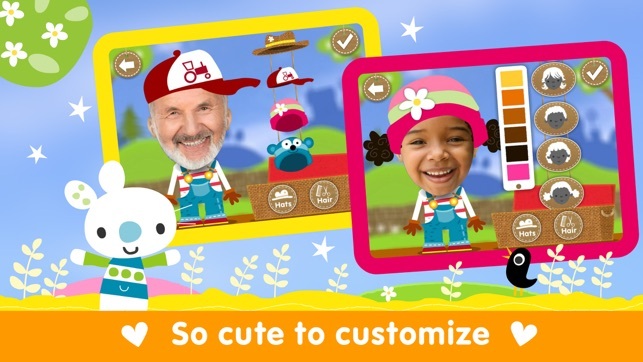 • Get creative - make characters using your photos, just add hats & hair! 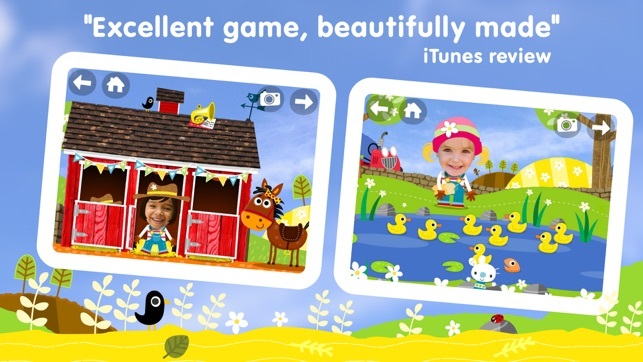 OkiPlay is a family games studio, devoted to learning and play. Children's book artist, John Abbott, is our illustrator. 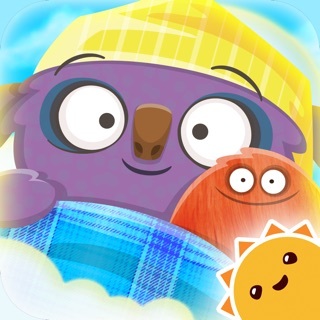 We're members of Moms with Apps, a collaborative group of family-friendly developers promoting quality apps for kids and families. 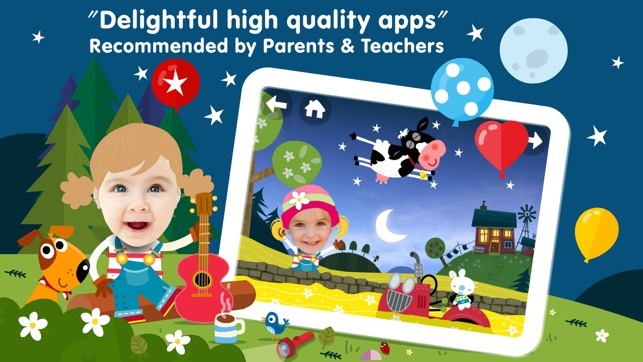 Our preschool educational apps are loved & trusted by parents, teachers and children all over the world. That makes us very happy. 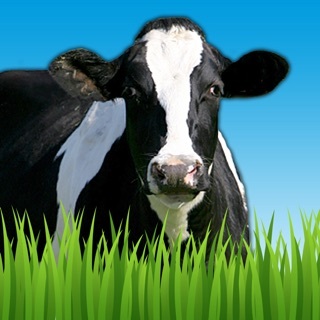 Ready for iOS11, with new educational farm animal games for hours of unlimited play! 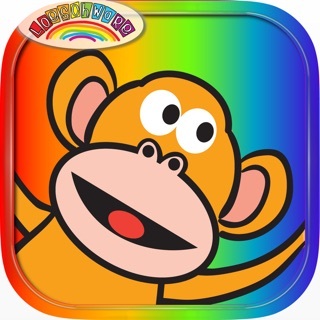 As a speech therapy assistant, this is my and my kiddos' favorite app! I work mostly with special needs preschoolers, but my typically developing clients also love it. It's so awesome to personalize the game with their own face, and add different hats and hair. I like that the kids hear the animal sound and are prompted by a small movement to touch and discover the animal. Eliciting language is easy with this little gem and is universally loved, even by one of my kids who is deaf. Please make more along this same idea! Finally something without ads that works well! I am also an slp (speech and language) and my preschool students are so excited about this game, that they "fight" to be the first to play. Thank goodness this works! They love their faces on it, although I can only add three at once. I would love for it to be able to select from the whole class!